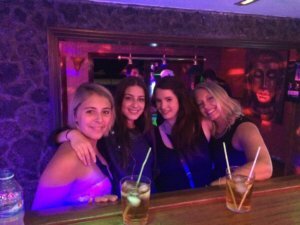 INTERNSHIP MALTA!!! Get ready for your hotel placement abroad. Malta is a beautiful island in the Mediterranean Sea. This island measures 246 km2 and is located 93 km south of Sicily.The country has an impressively diverse culture and offers the typical Mediterranean climate, with 13 hours of sunshine per day in the summer. With so much sun live is more beautiful. Malta is located in the center of the Mediterranean Sea and has 370,000 inhabitants. The island has a coastline of about 200 km. The Mediterranean climate, offers even in winter 6 hours of sun during the day and mild temperatures. In the summer months it is warm, around 28 degrees, with very low rainfall and the days become very sunny. The two smaller islands, Gozo and Comino are also part of Malta. Mgarr is a small village in the west of Malta with about 2,800 inhabitants. The place is dominated by a huge domed church, which is also called “Egg Church”. Sliema is a modern city, with a popular residential area, as well as an important tourist center. You can swim in the Lido on the rocky coast. Here you will find excellent opportunities for walking and sunbathing, to be able to enjoy those days off. 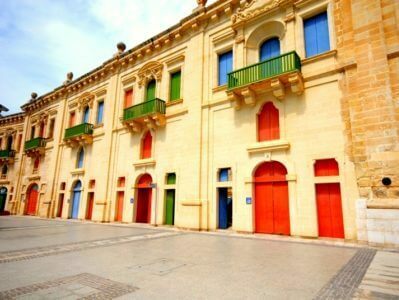 Rabat, the neighboring city of Mdina is a living, but still traditional village with many shops, a vegetable market and bars. A harbour tour is a great opportunity to get to know the city from another perspective. You go through the port of Marsamxett and Grand Harbour and enjoy from there the unique view of the fortress. If you have a day off, it is advisable to do a day trip to Gozo. There you can visit the Azure Window in Dwejra, the citadel in Victoria, and the bay of Xlendi. 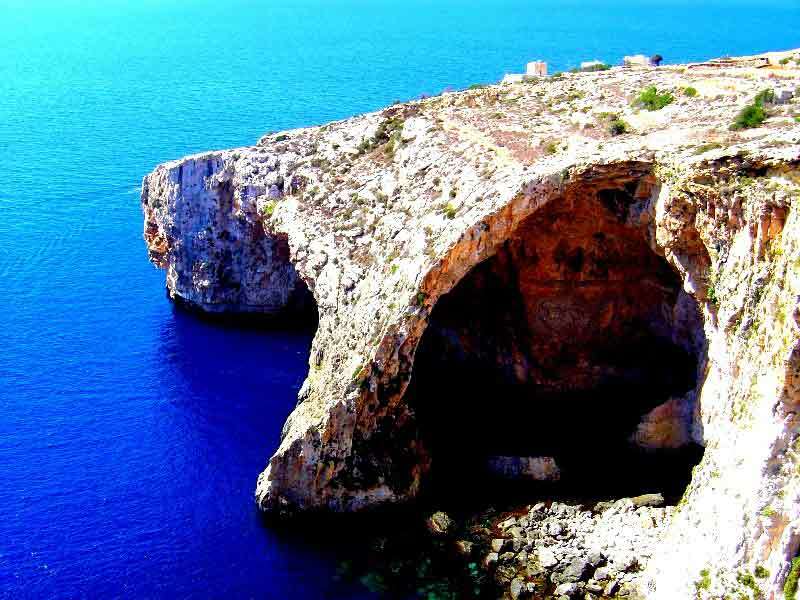 A real highlight is the Blue Grotto which we recommend you to visit throughout your internship Malta. It is a cave which lies on the southwest coast of Malta. It cannot be seen from the mainland and can only be reached by sea. At this point in the sea are many blue-green algae, causing the water to strong bluish gleams in the sunshine. The grotto includes six cave arches. When the weather is good you can visit the caves with small boats. The capital of Malta is Valletta, which was built in 1556 as an impressive fortress town. It provides a wide variety of attractions and it is a must see for any trip to Malta. You can easily reach Valletta from all places of the island by bus. In the center of Valletta is the largest structure of the capital, the Palace of the Grand Master. The Maltese people just call it “il-Palazz”. Its facade represents the style of the 16th Century; the Baroque portals were added in the 18th Century. The palace was, during the British rule, seat of Governors and now serves as the official office of the Maltese President, as well as a meeting of Parliament. Nevertheless, parts of the palace can be visited (e.g. the armoury). Valletta’s main shopping street, Republic Street, offers plenty of shops for you to browse among. The Upper Barrakka Gardens are situated in a beautiful park, which provides a spectacular view on the harbor (Grand Harbour) and of the “Three Cities”. 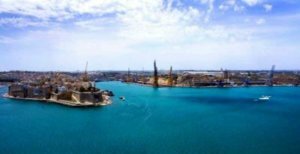 Vittoriosa , Senglea and Cospicua , which are situated in the bay with their ports, showing the traditional Maltese way of life and offering the possibility to get to know the history of Malta. The cities were used as fortresses and dwellings. Due to the crystal clear water, Malta is ideal for diving. 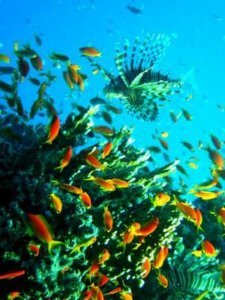 One can look forward to see a variety of fish species, such as parrotfish and groupers, as well as an underwater landscape with caves. On the island are 33 diving centers and schools, so there is plenty of opportunity to explore the sea with a new perspective. The water temperature in summer is about 25 degrees, warm enough for you to swim, in your spare time. For the adventurer, Malta offers a wide selection of 1300 climbing routes. You can decide between a variety of climbing styles: traditional climbing, sport climbing, abseiling or deep water soloing (climbing above the water). In the water sports centers that are set along many beaches you can get involved with windsurfing, paragliding, water-skiing, canoeing and pedal boating while you are doing your hotel internship Malta. Probably the most beautiful sandy beach of Malta is located in the northwest of the island and is fortunately still completely undeveloped. It offers you a yellow to almost red sand, crystal clear water and great possibilities to snorkel. The Ghajn Tuffieha Bay is not so easy to get to; there is a hill and descend way with 200 steps; the great advantage of this is that the beach is usually less busy, than other beaches on Malta. The Golden Bay is the most famous beach of Malta which you should visit during your internship Malta. It is located next to the Ghajn Tuffieha Bay and is easy to get to by bus, as well as by car. There are several restaurants and possibilities to rent water sports equipment. This beach is mostly famous for Popeye Village, which is the backdrop for a movie with Robin Williams as Popeye. The village film set is a tourist attraction, but also fishermen use the picturesque small bay for their work. There is a fairly steep slope leading down to the bay. The water is calm, but the bay is only suitable for good swimmers. Various clubs are mainly located in St. Julians, Paceville, Bugibba, Mellieha, Marsascala and Sliema. Malta is not the place you are looking for?